George, Miles & Buhr, LLC (GMB) provided engineering services to the City of Seaford to address repetitive extreme flooding in and around the Washington Street area. The project began with an in-depth analysis of the existing storm drain system, and the evaluation of several alternatives to alleviate the periodic flooding that occurs during heavy rainfall events. Based upon our extensive hydraulic modeling, we determined that the existing system was extremely undersized. GMB then designed a new storm drain system, which consisted of approximately 3,549 LF of new stormwater piping ranging in sizes from 15” to 36”. In conjunction with the new stormwater piping system, GMB designed several “green infrastructure” improvements to improve the water quality in stormwater runoff to the Nanticoke River. We also served as Funding Coordinator for this project, helping to procure and administer a Delaware Clean Water State Revolving Fund (CWSRF) Green Project Reserve loan. This project was formulated out of the need to protect the safety and welfare of a residential neighborhood and adjoining church campus that have been plagued by flooding from extreme storms over the past 12 years. It was clear that the existing system was extremely undersized and needed to be replaced. 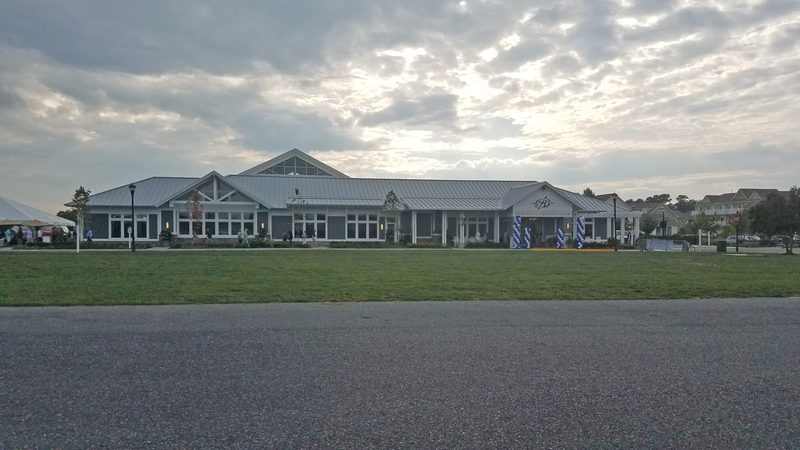 As part of the design solution, the project was adapted to include stormwater retrofit demonstration projects as the first of its kind within western Sussex County. In conjunction with flood control benefits provided, the project improves water quality in stormwater runoff to the Nanticoke River. Incorporated into the design are several “green infrastructure” improvements, including bioretention, permeable pavers, street trees, and manufactured BMPs. In addition to the flood control benefits provided to the target area, the project diverts flow away from the existing DelDOT storm sewer that drains a section of Stein Highway and adjacent communities, thereby reducing flows in the existing system and increasing flood protection in those additional areas. Runoff is also now diverted downstream of Williams Pond, which breached during the ’06 flood, resulting in scour downstream of the dam embankment (pavement failure at Poplar St.). By diverting runoff downstream of the spillway, the project decreases the potential for future embankment failure in Williams Pond. This project’s unique approach to municipal stormwater management is the first of its kind within western Sussex County, by applying conventional “green” technologies in an urban environment. This project was awarded a 2013 Engineering Excellence Honor Award from the American Council of Engineering Companies (ACEC) of Delaware.